Today we have some amazing chess sets to show you. 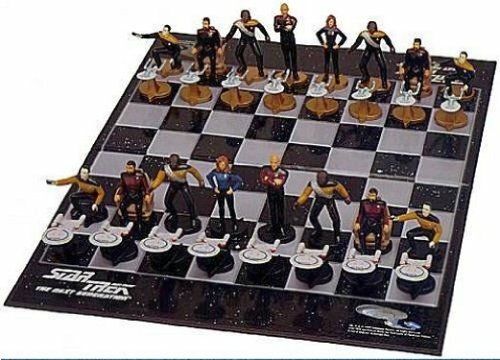 These themed chess sets are a perfect gift for any chess player who is also a fan of dragons or Star Trek for example. Board games have been around since 3000BC, first found in early Egypt but the earliest mention of chess (or at least, it’s earliest form) is around 600AD. I played a fair bit as a teenager but I was never very good at it, I just don’t have the tactical skills or the ability to think two or three moves ahead! 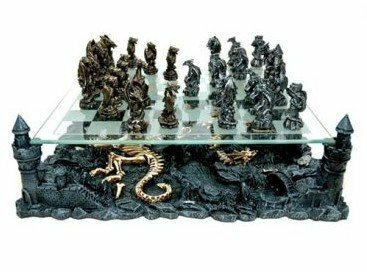 My favorite of all these sets is the first one – a gorgeous high quality and detailed cast resin board base, a glass playing field and of course, lots of dragons as pieces. The medieval knight board is similar as it’s made by the same company but instead of ancient dragon bones on the play base, it’s a medieval battlefield scene. In both sets, the play pieces are cast in pewter and have a satisfying heavy feel to them. 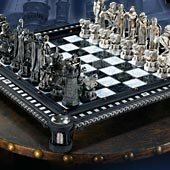 The Star Wars chess set has TIE fighters and X-Wings as pawn pieces and the main characters of the Rebel and Empire as the major pieces. 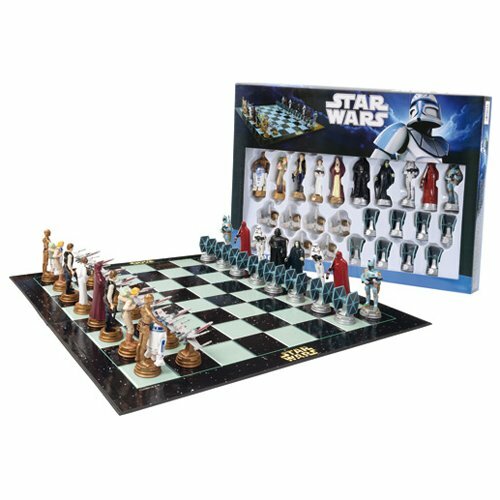 It’s not quite as impressive as the dragons set but for a chess playing fan of Star Wars, it’s a great gift. 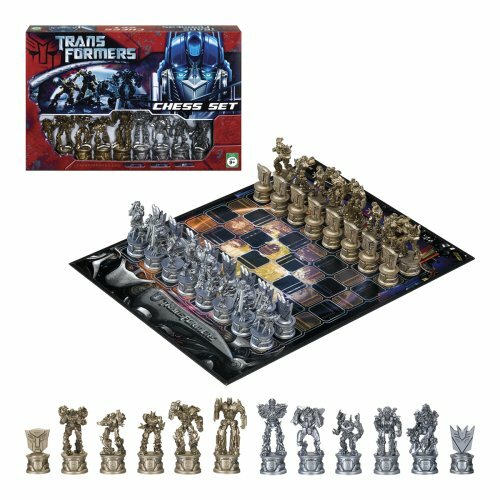 The Transformers set has the Autobots playing against the Decepticons – the board is different from the usual black and white checkerboard pattern but that just adds to the feel of the game. 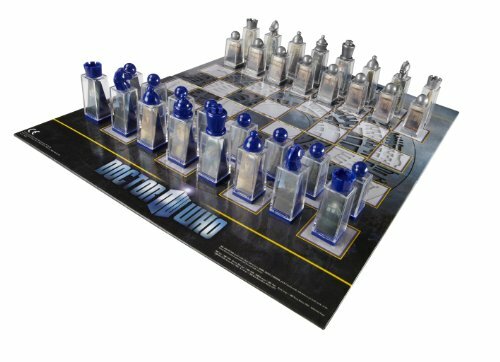 The Doctor Who chess set is completely different to any others I’ve seen. Each piece has a fairly standard design top but inside the body of the play piece is one of those 3D moving hologram type images (the lenticular bit). 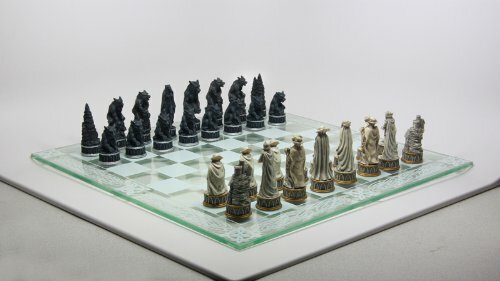 The Harry Potter chess set is a beast! It’s very heavy, made of glass and pewter and the largest game pieces are almost 6 inches tall! It’s also very expensive but for a chess playing Harry Potter fan, it would be a show stopping gift for sure. Lastly, we have a more modern variation of a standard chess set. It has glass game pieces which light up when on or near the board. 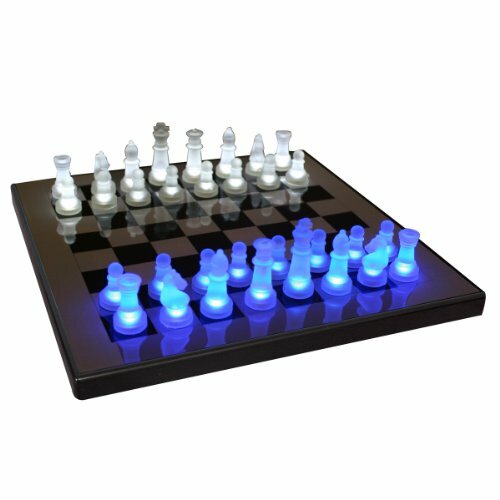 The board is powered by batteries or can be plugged into an outlet so you can play chess in the dark! This would be a perfect gift for a tech type geek who also plays chess I think. 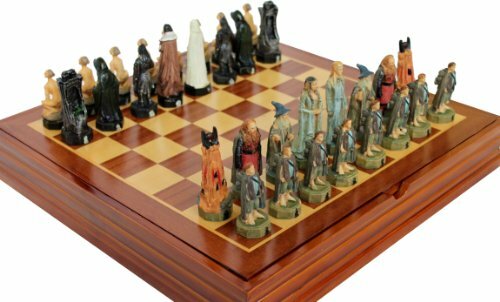 There are many, many chess sets available – from basic child friendly starter sets to these wonderfully detailed themed sets. 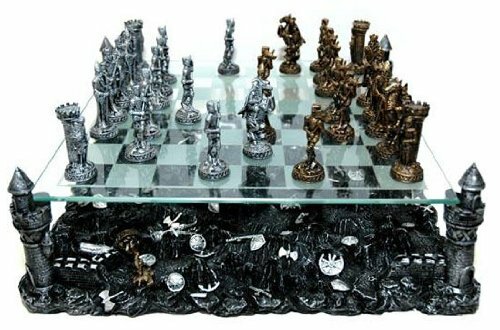 If you have a dedicated chess player in the family, a good quality chess set would make a great gift of course but if your chess player is also a bit of a geek, then finding a themed chess set for them would be a fantastic gift idea.